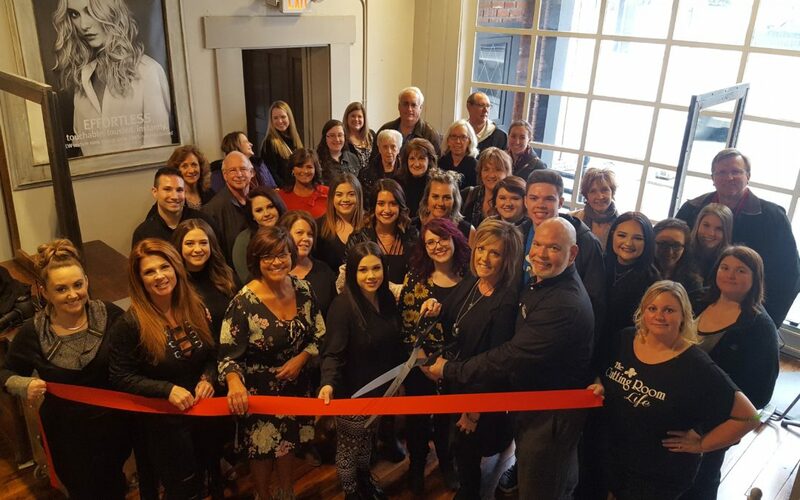 The Cutting Room Salon and Day Spa showcased their newly renovated location with an open house and ribbon cutting ceremony on Wednesday, April 4th, in conjunction with the Wilmington-Clinton County Chamber of Commerce. The open house was well attended with several prominent community leaders supporting the event. Throughout the evening, statements of praise and support were made including: “Thank you for investing in our community and the future of our professional skilled trades.” by Dan Evers of the Clinton County Port Authority; “Boy, have you made this place look great and the Adair’s would be proud to see it.” from Bill Marine, Bill Marine Ford; and “This location is an investment in what Wilmington is becoming over the next five years.” stated by Richard Burton, J&D’s Market; among many others. The new facility is an easily accessible, single-floor layout with access from Mulberry St., and shares the main entrance with Fiesta Veracruz restaurant. Known for its Aveda products and services, The Cutting Room’s expanded services for hair, nail, and skin care includes an open space with separate spa rooms supporting professional skin care, lash services and massage. A new spray tan offering complements the newly-added pedicure stations, all within a bright, freshly-renovated environment with good ole historic charm. Nearly one year from the announcement to expand operations, owners Lynne and Larry Laake completed the migration from the original location. The opportunity to expand the service offerings, team members, and accessibility all led to the decision to relocate. 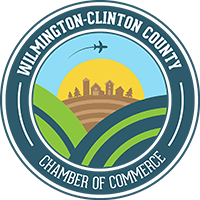 Being involved with the economic expansion of Wilmington through Larry volunteering on the Laurel Oaks Cosmotology Advisory Board and a member of the Port Authority Board of Directors provides insight to the new owners into how best to support the community. By offering opportunities for newly graduated students and trainees to be exposed to seasoned professionals, Larry and Lynne hope to develop the future in our community. “We now have a space for both young and experienced guests and team members to receive the beauty and wellness they desire without having to travel,” said Laake. The Cutting Room will be a participating location during the Wine Walk on May 18, as well as hosting a Guest Appreciation event on May 4. Learn more about The Cutting Room at http://www.cuttingroomlife.com/.